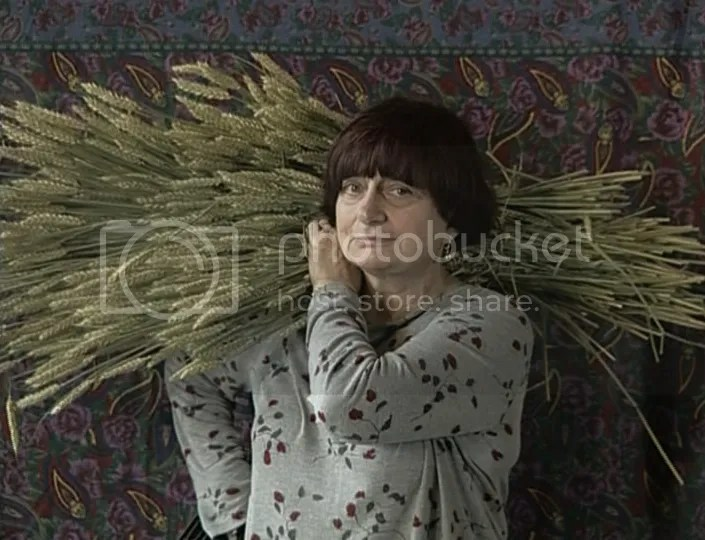 I was recently asked if I was interested in submitting some thoughts on Agnès Varda’s Les glaneurs et la glaneuse (The Gleaners and I) (2000), and as it is one of my favorite films by my favorite director, I jumped at the opportunity to do so. I ended up being very pleased with the results, and you can read “10 Things Gleaned from Agnès Varda’s Gleaners and I“ on the Fandor blog, Keyframe. You can even watch the film on the site by logging in through Facebook, if you’re interested. You won’t be disappointed—cinephile or not, it’s among the loveliest of any film I know. The process of writing this piece was an unexpectedly fraught experience, but in retrospect it also turned out to be rather insightful. And since it’s connected to Memories of the Future to some extent, I thought I’d jot down a few thoughts. Anybody who once read this blog (I have no idea if anybody actually does anymore) knows it experienced a period of abandonment over the last few years, a time which has more or less coincided with my decision to pursue a graduate degree in Cinema Studies. But what I quickly found was that turning a hobby into a “serious” academic pursuit made it nearly impossible for me to muster up the enthusiasm to write about film “for fun,” and as such this blog became more of a repository for occasional book reviews and blogathan contributions. Now finished with my degree and in the process of shifting my academic energies back towards literary pursuits, I eagerly took up the opportunity to write about a film as “reviewer” instead of “film school student.” I was fully expecting some bumps along the alway, but I admit I had not anticipated the minor existential crisis it turned out to be. In short, I realized I had completely lost my “reviewer” voice somewhere along the way. My short review quickly mutated into a much-too-long essay, and it’s quite good in its own way. But it was not at all what I had wanted or intended to write, and not at all what I needed to write for this particular venue. After spending a day (inevitably, the day of my deadline) frantically trying to revise the essay into something suitable, I finally gave up and pulled out a piece of paper and simply began to list all of the reasons I could think of as to why I love this film as much as a I do, and why I had wanted to write about it in the first place. That gave me the idea for the fragmented structure it eventually took, and things just went from there. I’m hoping that this experience has reignited some enthusiasm for writing about film again in the capacity of reviewer and film lover, and that spills over into Memories of the Future. We’ll see, but I think this is, at the very least, a good start.